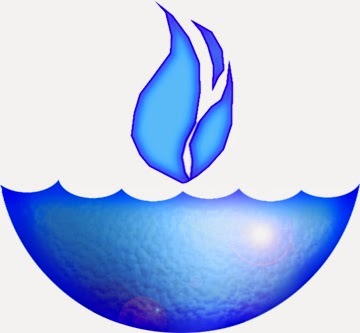 Water Communion is one of my favorite Unitarian Universalist worship services! What a privilege to lead the service this past Sunday, September 14 at the Unitarian Universalist Congregation of the Outer Banks. 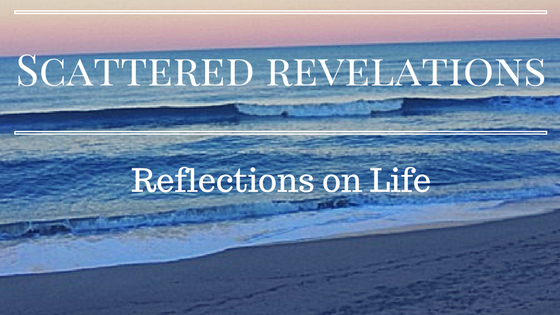 Water Communion is one of my favorite UU services – it is right there with flower communion. I love how in so many congregations I have been involved with these two rituals serve as bookends to the year. I love the blending of the waters and hearing all the places the water comes from. Even more I love hearing just a little snapshot from people about how that water represents some change or transformation that has occurred in their lives. For whether we were here all summer working or playing, whether we traveled far or not at all, summer can be a time of renewal maybe even a time of transformation. For some you may come here and your water may represent joy at seeing family, visiting a new place, or a favorite place. Maybe your water represents a new job or opportunity. Maybe it is about an experience of awe. For some of you the water may represent relief that a busy summer season is finally winding down and now a period of rest and recreation can begin. Maybe the water is a symbol of refreshment while working hard on a hot summer day. Maybe it is a refilling of the well with the abundance of summer work. For others the water represents salty tears of loss; the death of a loved one, the loss of a dream or opportunity. Maybe your water is filled with sadness, a deep sorrow. We come together this morning and celebrate coming home again. Coming home again to this faith community where we celebrate our diversity of beliefs, where we care for one another in times of loss and sorrow, where we celebrate with one another in times of joy. We blend our waters together, from places far and near, from sorrow, joy, rest, hard work, change and transformation. Some of us are new here today and some of us have been coming for years. Today we blend our water, water that essential element for life everywhere. As we blend our water let us think of those for whom this life saving element is hard to come by. For the women who walk many miles, like the water bearer in our story, to bring fresh water to their families. For those in places within our own country who are suffering from drought and those places that are overrun with flood. Water is life and water can also destroy as this area knows all too well. Water is powerful and strong, refreshing and sustaining. It is filled with complexity and paradox. So as we blend our water this morning, let us stop, let us take a moment to reflect on what it symbolizes to us in this moment. Where are you in your life right now? Does your water represent hope, change, new life? Does your water represent joy? Or does it represent sorrow or loss? Are you in search of healing and wholeness? Are you in need of rest and renewal? What are you bringing with you this morning? How can this faith community accompany you where you are on the journey? For me, this has been a year of profound change. It has certainly not been easy with a change of jobs, a change of homes. There has been loss and sadness. There has been joy at new community, new friends, new and fulfilling work. In many ways my own year reflects some of this community’s year. There has been the loss of Pat and a time of searching. There has been a time of finding and welcoming. Now this community continues its search. You are being invited to ask deep questions, to reflect on who you have been, who you are and what you hope to become. It is a time of dreaming and hoping. Yet it is also a time of transition, a liminal time. With hard work and hope, next year you will celebrate Water Communion with your new settled minister. Another chapter will begin for this community. Yet in this liminal time of change and transition, life continues on. Worship happens each Sunday, the work of the Board and the committees moves forward. The work of this community continues and people will continue to come and be welcomed and others will say goodbye. So this Water Communion we invite it all. We invite all the water from near and far. We blend it together and we will save some of it for those moments of ritual that happen through the year. Some we will save for next year’s Water Communion. Some we will give as gift to Janice who is leaving so she takes a tangible symbol of this community into her new life. We blend it all together and we celebrate being together, we honor all of what we bring and we offer the invitation to find home here!